An exercise in futility it would be indeed to spread a net in the presence of that which one desires to catch, which is why these sinners lay wait and lurk privily (not openly or publicly; secretly, privately; stealthily; craftily - OED), so as not to be seen (Pro 1:11). They think that the net they have laid for the innocent will not be perceived by their victims, nor even by God himself, seeing that "there is no fear of God before their eyes" (Rom 3:18). The psalmist described such sinners in the tenth psalm. Psa 10:8 - He sitteth in the lurking places of the villages: in the secret places doth he murder the innocent: his eyes are privily set against the poor. Psa 10:9 - He lieth in wait secretly as a lion in his den: he lieth in wait to catch the poor: he doth catch the poor, when he draweth him into his net. Psa 10:10 - He croucheth, and humbleth himself, that the poor may fall by his strong ones. Psa 10:11 - He hath said in his heart, God hath forgotten: he hideth his face; he will never see it. Psa 10:12 - Arise, O LORD; O God, lift up thine hand: forget not the humble. These murderers surmise that they have their tracks covered, operating under a cloak of secrecy in their plans to ensnare the guiltless; but they fail to realize that there is a "bird" who watched them spread their net, and "he shall deliver [them] from the snare of the fowler, and from the noisome pestilence. He shall cover [them] with his feathers, and under his wings shalt [they] trust: his truth shall be [their] shield and buckler" (Psa 91:3-4). The Lord will answer the psalmist's plea in Psalm 10, forgetting not the humble, and will judge these vile men with one of His signature judgments: catching the wicked in their own net. The diabolical plans of evil men may go unnoticed by the sheep, but the Good Shepherd always has His watchful eye on His flock, for "the eyes of the LORD run to and fro throughout the whole earth, to shew himself strong in the behalf of them whose heart is perfect toward him" (2Ch 16:9). Seeing that "the eyes of the LORD are in every place, beholding the evil and the good" (Pro 15:3), any net set for the righteous is indeed spread in vain. 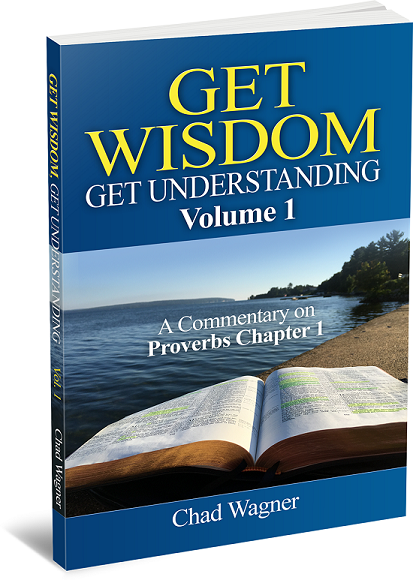 For the previous blog in this series, click here: Proverbs 1:16. For the next blog in this series, click here: Proverbs 1:18.